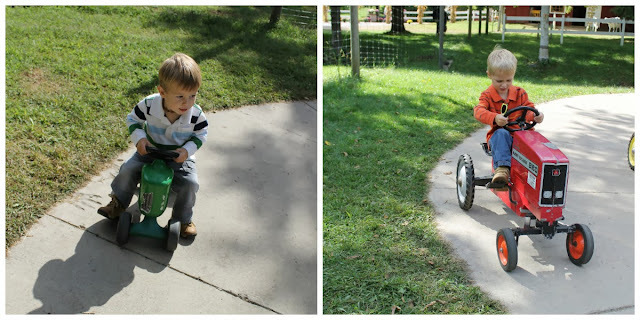 "If you carry your childhood with you, you never become older." 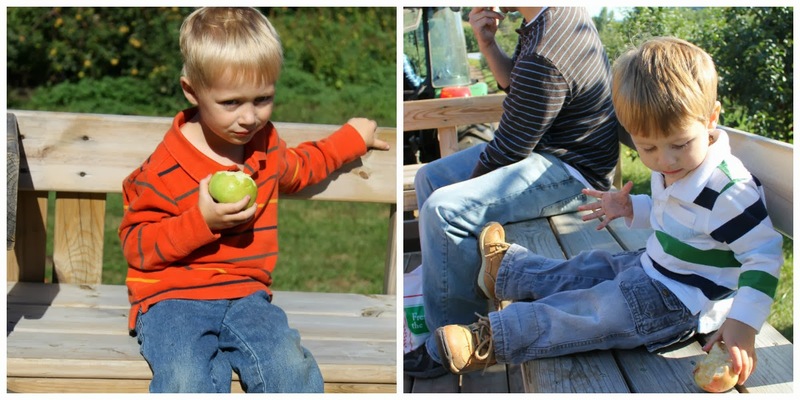 One of the most highly anticipated traditions for our family is our annual trip to the apple orchard. We talk about it in the days leading up with much excitement, pinpointing the things we most want to do. 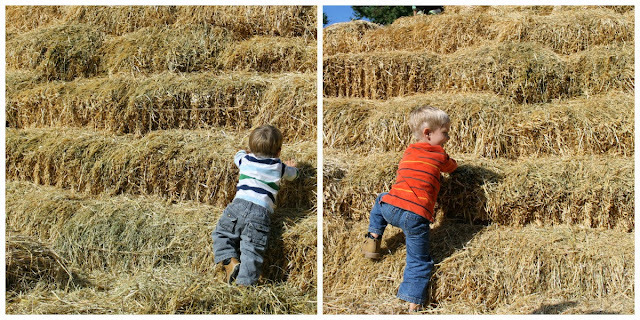 Spencer's list always revolves around the hayride and the pedal tractors, but he also discusses his haystack climbing techniques. 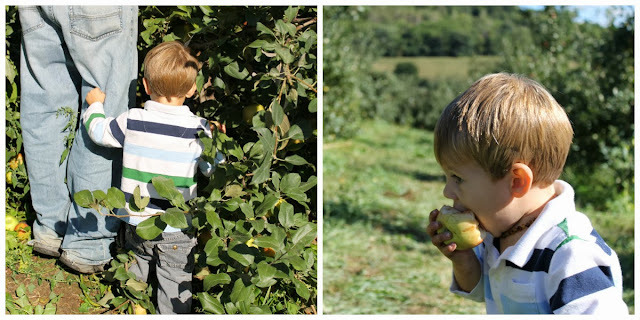 This was Ashton's second visit but probably the first that he will actually vaguely remember when next year rolls around and we begin discussing our orchard trip again. We were lucky this year to be blessed with such a beautiful fall day. Upon entering the parking lot, we stripped off our jackets as the warm sun beat down on us. Trudging up the aisle of towering sunflowers, our excitement was palpable. 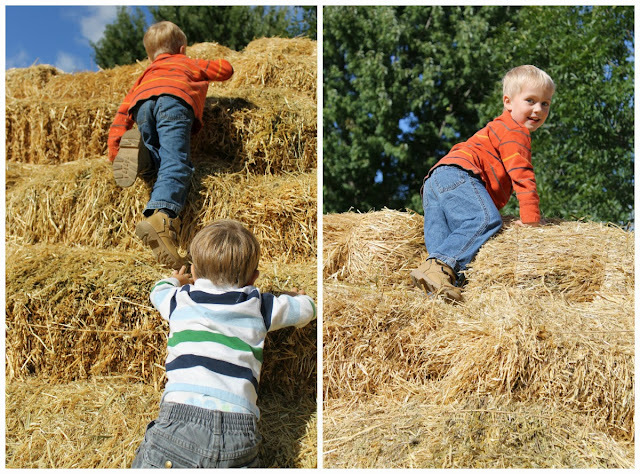 The moment the boys spied the field of pumpkins, they wanted to bolt to lay claim to their own. 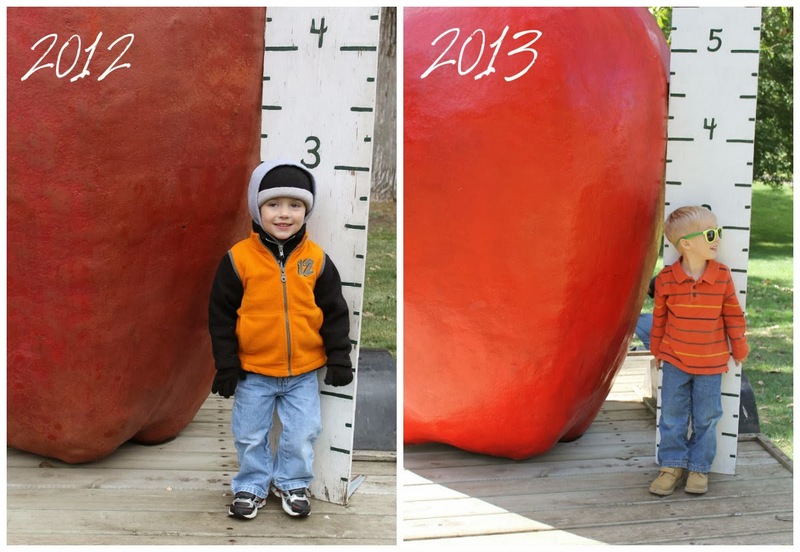 But, first, I made them pose for the traditional photograph by the giant apple and ruler. 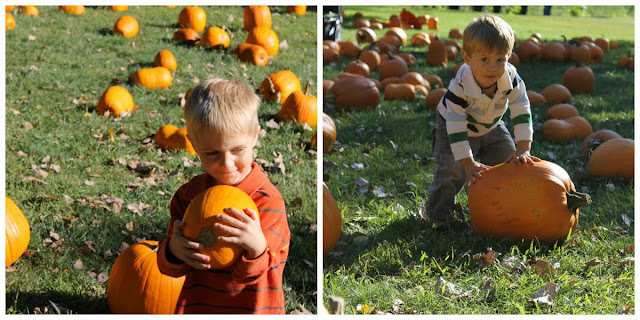 Then off they went to explore the pumpkins. 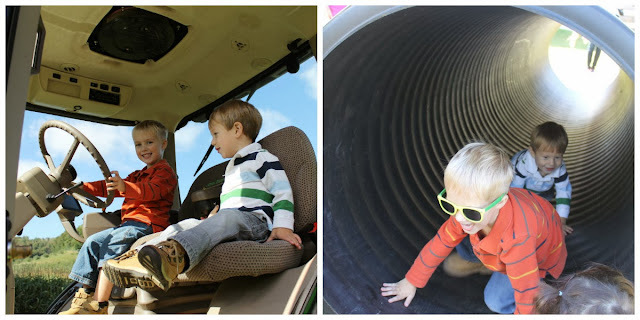 Then we made our way to the pedal tractors, conquered the haystack, posed for a few photo-ops, explored the giant tractor, barreled through a giant tunnel, and fed some goats. 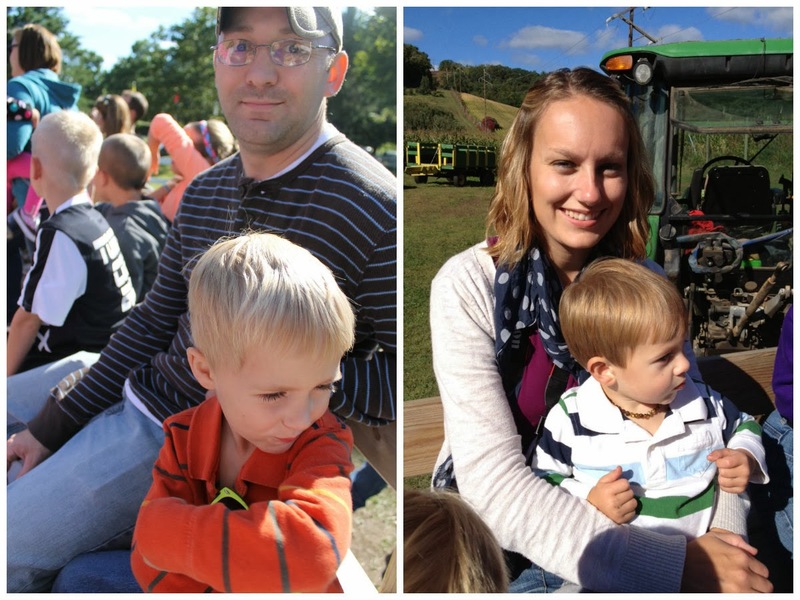 All this before finally boarding the main event: the hayride up to the orchard. 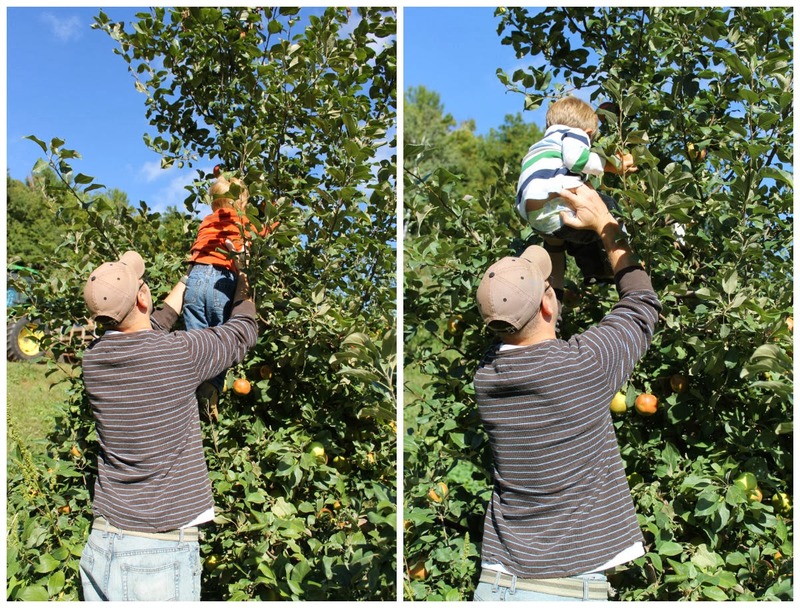 Once we were walking among the maze of apple trees, we'd pluck an apple off a nearby limb and nibble our way through it. 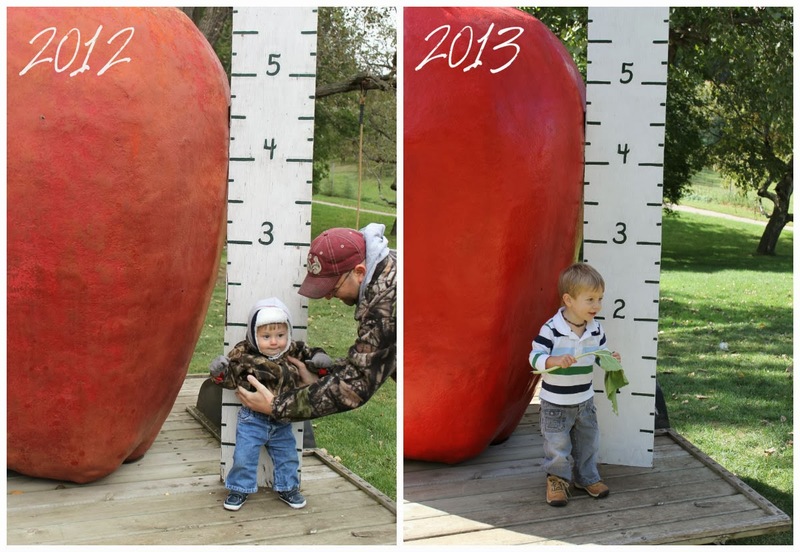 Ashton especially was in apple heaven. We searched and searched for our beloved honey crisps apples and then stopped to fill our bag. David instructed one of the boys to ask for my help reaching the high ones, but I declared I was the photographer, not the helping hand; and away I snapped, picture after picture. 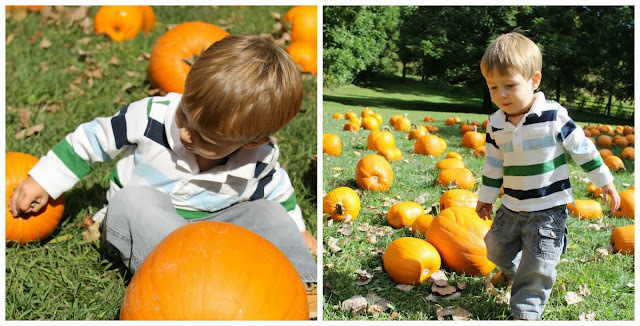 When our bag was plenty full, we hopped back on a hayride and rode down the hill to buy caramel apples and apple strudels for dessert, and finally select the pumpkins we wished to adopt. 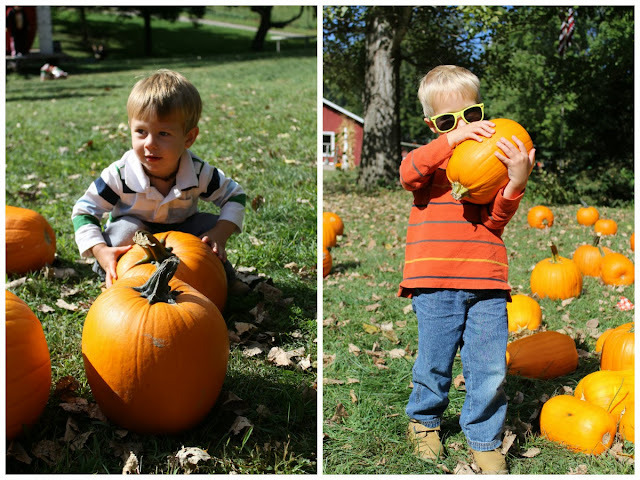 The boys were escorted to the truck in style, sharing a wagon ride with our new pumpkins. 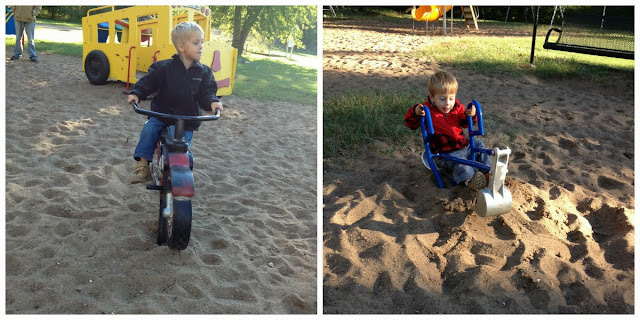 Before returning home, we stopped at the same park we do each year to eat our picnic supper. Oh, magical apple orchard, thank you for your memories. We shall be seeing you again next fall. Where these tiny feet will go.